BREAKING NEWS: Medical Mafia vaccine-pushing Cartel (GAVI) solidifying its resources with Private-Public Partnership financial pledges from Governments & private backers. ‘International health alliance GAVI (partnership of World Bank & pharmaceutical firms) is seeking $3.7 billion from a June 13 pledging conference in London to help deliver vaccines to nearly a quarter of a billion children across the world by 2015, using so-called “vaccine bonds”.’ The majority of donors are governments but include private backers such as the Bill and Melinda Gates Foundation. An inaugural $1 billion five-year bond launched in 2006 with a 5 % coupon is currently yielding 2.4 %. “Through the worst of the financial crisis, when the cost of borrowing skyrocketed for many, IFFim survived,” Ferreira said of its International Finance Facility for Immunisation (IFFim) arm which arranges the bonds. Some $3.2 billion worth are currently outstanding. 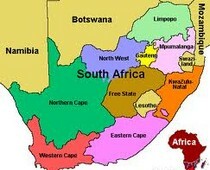 A GAVI spokesman said new vaccine bonds might be issued this year as part of a regular IFFIm capital raising. “The quantum and timing will be subject to market conditions,” he added. Existing bonds are rated Triple-A by leading rating agencies. Note: The resource base is unlimited for these massive vaccine roll outs on the horizon. 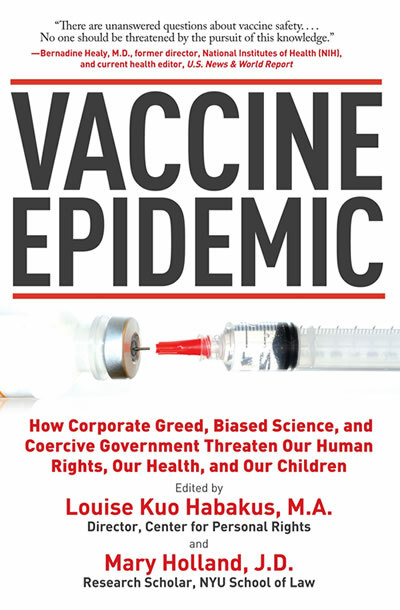 What the public doesn’t seem to grasp is the POLITICAL power these Vaccine Manufacturers have acquired; having galvanized all avenues to reach their market objectives; while safeguarding against any vulnerabilities to prosecution – by linking up with the World Bank & Philanthropic investors such as the Rockefellers, Bill Gates, Ted Turner etc. 194 signatory countries have signed on to & are therefore legally bound to adhere to World Health Organization Pandemic Preparedness regulations; virtually the entire globe in alliance with United Nations policy. 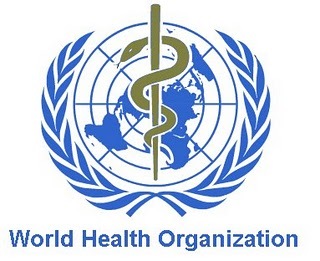 Public-Private is essentially just an anacronym for unlimited total control – meaning they (the UN, World Bank, European Union, Big Pharma) run the casino & therefore set the Health agenda. Eugenics is now in full swing with no impediments whatsoever to stop it. and there’s little the public can do to change gov’t policy short of a revolution. 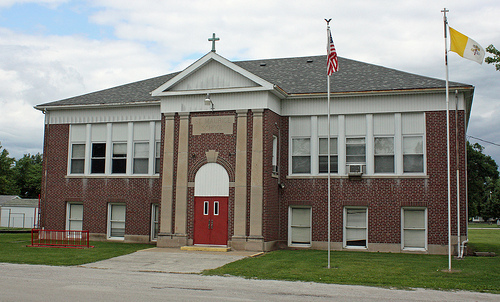 No action was taken by the Troy School Board last week on policy revisions that would inform students of the availability of inoculations for the human papilloma virus. The statement pertaining to HPV and the vaccine will be deleted from the revised policy and it will be brought back to the board for its first reading at the June meeting. Board member Cynthia Grabavoy said the district is not in the business of making or suggesting medical decisions for students. ‘Using regression analysis and controlling for family income and ethnicity, the relationship between the proportion of children who received the recommended vaccines by age 2 years and the prevalence of autism (AUT) or speech or language impairment (SLI) in each U.S. state from 2001 and 2007 was determined. A positive and statistically significant relationship was found: The higher the proportion of children receiving recommended vaccinations, the higher was the prevalence of AUT or SLI. A 1% increase in vaccination was associated with an additional 680 children having AUT or SLI. Research on the H1N1 Virus/Bacterium hybrid for bioweaponry purposes traces back to a little known Rockefeller funded project. During 1942 the Rockefeller Institute for Medical Research, centered in Princeton, New Jersey, undertook a major study titled ‘Synergistic Action Of Hemophilus Influenzae Suis And The Swine influenza Virus On The Chick Embryo’ led by Frederik B. Bang, M.D. through the Department of Animal and Plant Pathology. 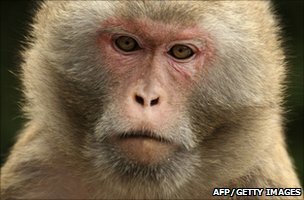 The darker implications of their discovery, the harnessing of animal-human live viruses & bacterium for bio-weaponry purposes (H1N1 Swine flu + H1N2 Swine flu + H5N1 Bird flu + H3N2 Human flu + Bacteria = Pandemic) cannot be ignored given the Rockefeller history of involvement in the eugenics movement; suggesting more than just a benign generosity of enlightened philanthropists at work. “We have found that the combined infection of embryos with swine influenza virus and H. infl~nzae suis produces a highly lethal infection, while neither one alone kills many embryos. Infection with the virus allows the Hemophilus to persist longer than it does in normal embryos. Summary: ‘The synergistic effect of Hemophilus influenzae suis and swine influenza virus in the pig can be reproduced by the inoculation of these agents on the chorioallantoic membrane of 9 to 10 day old chick embryos. Two strains of human influenza virus that were studied failed to substitute for the swine virus in the synergistic reaction. No loss of synergistic effect was noted when the swine influenza virus was put through 11 chick embryo passages. Recently isolated and old stock strains of Hemophilus were equally able to enhance the effect of the virus. Heat-killed cultures of H. influenzae suis can be substituted for the bacterial component of the reaction. Infection of the embryo with swine influenza virus predisposes to infection with H. influenzae suis. The Rockefeller Foundation recently published “Scenarios for the Future of Technology and International Development’; an in depth examination of society under various degrees/types of dictatorial ‘governance’ – the implications that, given a total societal collapse, humans would willingly relinquish their already limited freedoms in exchange for manageable order; a grave reminder of how the so called ‘useless eaters’ or ‘bottom feeders’ are perceived by the elites, as essentially passive & malleable, subject to conditioning on a flowchart. The Rockefeller vision, a dystopic clinical analysis of human behavior in response to a major pandemic leaves little doubt as to the ultimate purpose behind the veil of misguided over-reaching philanthropy. ‘Hundreds of articles in medical journals claiming to be written by academics or doctors have been written by ghostwriters who were paid by drug companies. ‎Papers in journals backing certain drugs have huge influence on which drugs doctors prescribe & treatment hospitals provide. Actonel is one of P&G’s 16 ‘billion-dollar brands’, making the company between $500m and $1bn each year. But there is intense competition with its main rival, the drug Fosamax, manufactured by another pharmaceuticals giant, New Jersey-based Merck. There has been much debate over how these drugs actually work. It is known that they do two things: increase the mineral content of the bone, known as bone mineral density (BMD), and reduce the rate of bone turnover. Bone is a living tissue which constantly regenerates itself, by losing and gaining calcium and protein. Bones are always developing tiny holes which are filled in as new material grows, but as women grow older the holes are not filled in properly and the bones are weakened. Both Fosamax and Actonel are ‘anti-resorptive agents’ – they prevent the bones from losing material too fast. Blumsohn asked at an early stage if he could see the way in which the analysis of his research was being carried out by P&G. The contract he and Eastell had signed with the company stipulated that their final written report would include all data, and any interpretation necessary for analysis. Although the two experts were providing the raw data from their laboratory, the numbers were meaningless in themselves because they were coded. As in all cases of this type of work, the researcher is ‘blind’ to the details of the data because they might be ‘influenced’ by that knowledge. The results cannot be understood until they are decoded – and P&G possessed the key. It is standard practice for authors to ask to see details of the work that is prepared in their name. In fact, medical ethicists would argue that this should happen as a matter of course. It is, after all, a doctor’s career and reputation which is at stake. Eastell, who was on the company’s UK scientific advisory board, wrote on Blumsohn’s behalf to Ian Barton, a senior statistician at P&G, asking if Blumsohn could see how the analysis was being carried out. In an email, Eastell, a highly respected expert in the field, made it clear he wanted to avoid criticism because questions had already been raised about how much of the data on the drug’s performance he had seen in the past. This was backed up by an email from a senior P&G official, Mike Manhart, director of clinical development at the company’s headquarters in Cincinnati. He wrote to Eastell: ‘I think we should look carefully at the pros and cons of Dr Blumsohn conducting the analysis you refer to. Over the next nine months, Blumsohn made several requests to see data, all of which were turned down. P&G say they want to achieve a ‘paradigm shift’ in doctors’ attitude to Actonel. Previous research published by Eastell concluded that there was a ‘plateau effect’ with treatment, meaning that it produces benefits but only up to a certain level of depleted bone density. One of P&G’s rivals, Merck & Co, manufactures Fosamax, the market leader with sales of nearly $3bn a year worldwide. It was known to be better at increasing bone density and reducing bone turnover than Actonel. P&G wanted to be able to prove that once a drug had suppressed the reduced bone turnover by a certain amount – around 30 to 40 per cent – any further fall in turnover, which Fosamax could achieve, would not result in fewer fractures. After numerous approaches P&G finally agreed that Blumsohn could see limited data at the end of July. He made the trip to P&G’s Egham headquarters and Barton showed him the key graphs on his computer. Blumsohn was convinced that a different interpretation could be put on the figures than the one provided by P&G. He was particularly concerned that around 40 per cent of the data appeared to have been left off the bottom of the graph. Blumsohn believed that had the data been included it would have disproved the plateau effect. As it stood, the graph appeared to support the existence of such an effect. The drugs company has denied that the data were in any way inaccurate or ‘skewed’ to get to the result they wanted. In a statement to The Observer, the company said: ‘For post hoc exploratory analyses, it is standard industry practice to limit access to the raw data by external researchers. Typically, analyses developed by or in collaboration with external researchers will be performed by company statisticians, and the results shared with the researcher. There are senior medical figures who feel this approach is inherently flawed. Stephen Evans, professor of pharmacoepidemiology at the London School of Hygiene and Tropical Medicine, said that a company should allow an independent statistician an opportunity to re-run analyses if this is requested by academic partners. ‘If a research partnership is a genuine one then there has to be complete openness. I don’t know how you can put your name to a paper otherwise,’ he told the Times Higher Education Supplement recently. In a further statement, P&G refuted suggestions that they had not been fully co-operative: ‘The raw clinical data in question were generated by P&G at great effort and expense,’ the company said. ‘They are from the pivotal clinical trials that supported the approval of risedronate for osteoporosis in many countries. P&G has a very legitimate proprietary interest in these clinical trial data. In September 2003 Blumsohn told Eastell, a research dean at the university, that he thought the plotted graphs were misleading. But Eastell, whose work for the university has attracted research grants from P&G of £1.6m in recent years, told him that they ‘really had to watch it’ with P&G. Despite Eastell’s attempts to get access to the data, he had to tread carefully. In a conversation which Blumsohn taped, Eastell said: ‘The only thing that we have to watch all the time is our relationship with P&G. Because we are… we have the big Sheffield Centre Grant which is a good source of income, we have got to really watch it. So, the reason why I worry is the network within P&G is like lightning. So if Ian [Barton] is unhappy it goes to Arkadi [Chines, global medical director of P&G Pharmaceuticals] and before we know it, there is an issue, there is a problem.’ In December, Eastell again warned him that they would be in ‘even deeper’ financial trouble without the funding from P&G. In November 2003, P&G had in fact amended its publication brief to include the 40 per cent left off the original graph. Evasion of CD8+ T Cells Is Critical for Superinfection by Cytomegalovirus: Cytomegalovirus (CMV) can superinfect persistently infected hosts despite CMV-specific humoral and cellular immunity; however, how it does so remains undefined. We have demonstrated that superinfection of rhesus CMV–infected rhesus macaques (RM) requires evasion of CD8+ T cell immunity by virally encoded inhibitors of major histocompatibility complex class I (MHC-I) antigen presentation. These findings demonstrate that US2-11 glycoproteins promote evasion of CD8+ T cells in vivo, thus supporting viral replication and dissemination during superinfection, a process that complicates the development of preventive CMV vaccines but that can be exploited for CMV-based vector development. Note: Study 1 – ‘These results demonstrate that RhCMV can be successfully engineered without loss of wild-type replication and pathogenic potential. Further, the spectrum of cortical anomalies and the distribution of infected cells in the brain tissues indicated that RhCMV may have preferentially targeted immature neuronal cells.’ Study 2 – ‘Cytomegalovirus (CMV) can superinfect persistently infected hosts despite CMV-specific humoral and cellular immunity.’ Both these studies previously verified the link between viral replication of animal cell substrates & a heightened risk of resulting adventious agents (rogue neoplasms or cancer), including the inevitability of mutagenic viral strains (’pathogenic potential’). Dr. Robert Gallo, credited for co-discovering HIV in 1984, actually served as “Project Officer” for the NCI, overseeing Litton’s development and testing of various cancer-causing viruses. All of the money for this program was also administered by BIONETICS, the U.S. Army’s 6th top biological weapons developer at that time, and the NCI’s chief SVCP contractor and supplier of viruses, viral cell lines, monkeys and chimpanzees, used to generate carcinogenic infections, and then experiment with various vaccines in efforts to prevent and reverse the cancers these researchers created in their lab cultures and infected animals. On Tuesday, May 10th, 2010 at 12:00pm, investigators and families of vaccine-injured children (already compensated in Vaccine Court) unveiled a report clearly linking vaccine injury and autism. Mary Holland, co-editor of the recently released book Vaccine Epidemic, lead author of the study Unanswered Questions from the Vaccine Injury Compensation Program, led the heated discussion. My initial observation based on the event – Why are these parents still defending the vaccine mandate? Even after their children have suffered severe damage from vaccine induced heavy metal sludge toxicity? It’s as though they feel obliged to apologize for the system rather than REJECTING the system & overturning the corrupt process that allows for these children to be thrown to the wolves so very young? There’s a psychological block against saying NO to doctors. Enough is enough. The entire Industry is a fraud, period. If someone steals all your life savings do you humbly accept the result as part of the process of life in these times? No. You fight back and regain your dignity at the very least. It’s so important to understand – we’re being cornered in the anti-vaccine movement as the trend is toward demonizing & BLAMING anti-vaccine parents – the implication (according to the current blackballing system in place) that the rights of children must be safeguarded from the irrational & wrong-headed decisions anti-vaccine parents are prone to. So we’re at war, here, against an Industry in bed with a powerful Vaccine lobby mafia who embrace Globalist communitarian values – ergo the end of family autonomy over gov’t intervention. We’re certainly winning the information war in terms of laying out the truth, discerning scientific fact from Industry spin type propaganda. But we have to keep galvanizing our forces in peaceful resistance against this mounting tyranny. ‘A new state law is making it more difficult for parents to send their children to school without first getting immunized against diseases. The bill, signed into law by Gov. Chris Gregoire on Monday, would require parents to receive a written certificate of exemption by a licensed health care provider to enroll their children in public schools without the recommended battery of vaccinations designed to protect children. “For too long Washington has had an easy way for parents to opt out,” said Secretary of Health Mary Selecky. “All it took was a simple check on a form.” This extra requirement for parents opposed to vaccines for their children is expected to bolster the state’s vaccination rates, which have historically lagged behind most other states. Some parents oppose vaccines on religious grounds. Others continue to believe that vaccines are harmful despite a multitude of studies supporting the safety of vaccines for children. Health officials are counting on medical professionals, including physicians, physician assistants, osteopaths, naturopaths and advanced registered nurse practitioners, to stress the importance of immunizing children against many diseases. Note: Many parents already have difficulty finding & securing a family doctor for their children. The added inconvenience of requiring a formalized certificate from a ‘licensed health care provider’ will discourage many parents otherwise determined in their anti-vaccine position – who may instead opt for school policy vaccinations; a clear violation of basic health freedom. The line has been drawn in the sand. We MUST fight this tyranny as parents and concerned citizens. If we submit to this glaring violation of human rights, Gov’ts will certainly not hesitate implement mandatory vaccination campaigns on orders from the World Health Organization. Pandemic preparedness plans are already on high alert. 1. The personal belief against immunization must be sincere and firmly held. 2. Before a child is granted an exemption, the parents or guardians must receive state-approved counseling that delineates the personal and public health importance of immunization, the scientific basis for safety of vaccines, and the consequences of exemption for their child as well as other children in the community who are vulnerable to disease and cannot otherwise be protected. 3. Before a child is granted an exemption, the parents or guardians must sign a statement that delineates the basis, strength, and duration of their belief; their understanding of the risks that refusal to immunize has on their child’s health and the health of others (including the potential for serious illness or death); and their acknowledgement that they are making the decision not to vaccinate on behalf of their child. 4. Parents and guardians who claim exemptions should be required to revisit the decision annually with a state-approved counselor and should be required to sign a statement each year to renew the exemption. 5. Children should be barred from school attendance and other group activities if there is an outbreak of a disease that is preventable by a vaccination from which they have been exempted. Parents and guardians who claim exemptions for their children should acknowledge in writing their understanding that this will occur. Whether or not children should be vaccinated before childcare or school entry ought not be a matter of “belief”. Rather, it should be a matter of public policy based on the best available scientific evidence, and in this case the science is definitive: vaccines are safe and they save lives. In this context, it is wrong to allow parents to exempt their children from required immunizations based on their personal beliefs. Exemption directly exposes children (who have no personal say in the matter) to harm…Exemptions also confer risk to entire communities…The state therefore has a vested interest in minimizing the number of children exempted from vaccination, because disease will resurge if too many are exempted, and no one knows a priori exactly how many is too many. AMDA Joins Call for Mandatory Flu Vaccinations for Health Care Personnel – Add one more group to the growing list of health care organizations calling for mandatory annual influenza vaccinations for health care personnel. The American Medical Directors Association, or AMDA, recently released a position statement supporting mandatory vaccination for health care personnel with direct patient contact in long-term care. Society for Healthcare Epidemiology of America. Although the CDC’s Advisory Committee on Immunization Practices, the American College of Obstetricians and Gynecologists, the ACP and the AAFP have recommended (5-page PDF; About PDFs) for years that all health care workers receive annual influenza immunizations, less than half of health care workers are immunized against the flu each year (4-page PDF; About PDFs), according to the CDC. 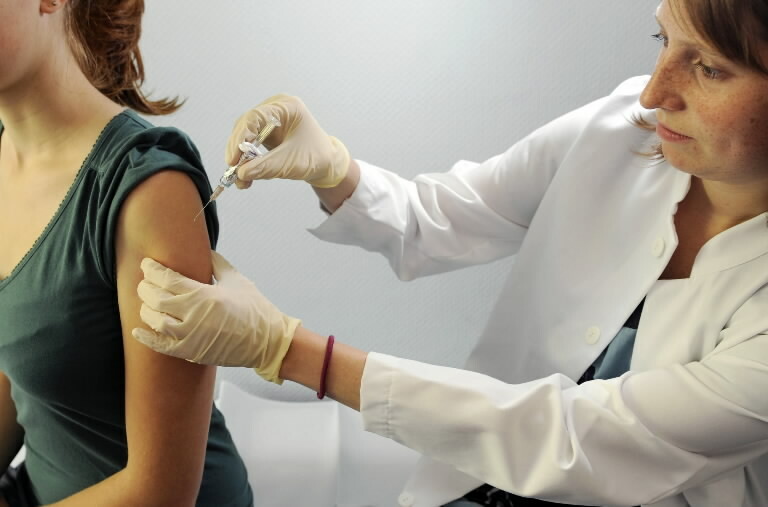 Currently, the AAFP’s Commission on Health of the Public and Science is reviewing a policy on mandatory influenza vaccinations for health care personnel. Such policies can be difficult to enforce, however. In 2009, the New York state health commissioner announced that vaccination against the seasonal flu and novel influenza A (H1N1) would be required for all health care personnel, but the regulation was suspended amid protests from nurses and public health workers, as well as because initial supplies of H1N1 vaccine were limited. Everett Schlam, M.D., another former vaccine science fellow and assistant director of Mountainside Family Practice Associates in Verona, N.J., said his practice requires workers to wear a mask and sign a declination statement if they are not vaccinated against the flu. 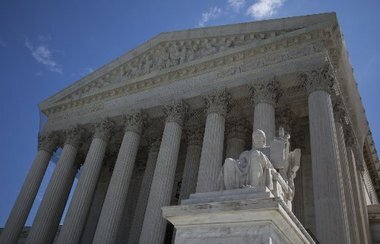 The Supreme Court ruling (6 for vs 2 against) now officially forces parents of vaccine damaged family members to go through A “special tribunal” of qualified “federal regulators”set up by Congress; thereby insulating vaccine makers from prosecution while the options for real justice. Those Justices opposed voiced their disapproval. ‘The indictment charges THORSEN with 13 counts of wire fraud and 9 counts of money laundering. The wire fraud counts each carry a maximum of 20 years in prison, and the money laundering counts each carry a maximum of 10 years in prison, with a fine of up to $250,000 for each count. The indictment also contains a forfeiture provision seeking forfeiture of all property derived from the offenses, including an Atlanta residence, two cars, and a Harley Davidson motorcycle. In determining the actual sentence, the Court will consider the United States Sentencing Guidelines, which are not binding but provide appropriate sentencing ranges for most offenders. This case is being investigated by Special Agents of the Office of Inspector General of the Department of Health & Human Services and the Internal Revenue Service Criminal Investigation Division. According to United States Attorney Yates, the charges and other information presented in court: In the 1990s, THORSEN worked as a visiting scientist at the U.S. Centers for Disease Control and Prevention (CDC), Division of Birth Defects and Developmental Disabilities, when the CDC was soliciting grant applications for research related to infant disabilities. THORSEN successfully promoted the idea of awarding the grant to Denmark and provided input and guidance for the research to be conducted. From 2000 to 2009, the CDC awarded over $11 million to two governmental agencies in Denmark to study the relationship between autism and exposure to vaccines, between cerebral palsy and infection during pregnancy, and between childhood development and fetal alcohol exposure. In 2002, THORSEN moved to Denmark and became the principal investigator for the grant, responsible for administering the research money awarded by the CDC. BACK-STORY: The US Center For Disease Control suddenly finds itself at the center of a huge media storm, rocked by a recent scandal implicating Dr. Poul Thorsen, chief co-author of a 2003 Danish Study financed by the CDC (which is now recognized as THE flagship model ostensibly disproving the vaccine-mercury-autism link). It seems Thorsen has illegally confiscated $2 million of CDC supplied grant money intended for research on the study. The incident also raises red flags now calling into question the legitimacy of any & all CDC sponsored studies of this kind; most of which fall under management of Thorsen’s own Danish Research group. CDC-GATE? ‘A Danish scientist involved in two major studies that debunked any linkage of vaccines to autism is suspected of misappropriating $2 million in U.S. grants at his university in Denmark.’“Questions about Thorsen’s scientific integrity may finally force CDC to rethink the vaccine protocols since most of the other key pro-vaccine studies cited by CDC rely on the findings of Thorsen’s research group,” Robert F. Kennedy Jr. The 2003 Danish Study in question was sqeuwed with manipulated data to such an extent that its legitimacy in the overall autism/vaccine debate can no longer be considered valid. Essentially what Thorsen did was to double Autism levels by covertly adding Out-clinic Registries – where 93% of autism cases are reported. Denmark removed Thimerosal from vaccines in 1992; therefore by suddenly opening the floodgates on reported cases of autism the actual numbers tracked within the framework of the study increased considerably based on this unique method of census taking. The entire Industry fueled justification for vaccine uptake depends 100% on this data to verify its conclusions as the penultimate truth; discounting any ‘autism-mercury in vaccines’ relationship (limiting claims for compensation from vaccine related trauma/resulting autism in vaccine court) while further justifying the use of Thimerosal in vaccines. Why this is such an important issue? The Danish study represents the primary rule-stick being flaunted routinely by the APP, CDC, WHO, CNN, Frontline, Fox News, Health Canada, Britain’s NHS, the entire vaccine lobby & major gov’ts around the world to sell the lie that mercury in vaccines & autism are somehow not related whatsoever. Systematically cherry picking data, applying statistics out of context while magnifying their importance they trumped up an otherwise irrelevant thesis and set to task applying it as scientific fact within a broader worldwide context. A group of children who received flu shots at a Colorado clinic are now being tested for several infectious diseases including HIV, Hepatitis B and Hepatitis C after a mix-up that led vaccine syringes to be shared between patients. Med Peds Clinic in Fort Collins, and on April 6, the Med Peds Clinic in Fort Collins clinic sent out letters to families on April explaining that a medical assistant “took the pre-measured children’s influenza vaccine and only gave half to each child, assuming it was the adult dosage.” With that understanding, officials at the clinic said the assistant removed the needles from the half-full syringe – assuming it was the adult dose – and replaced it with a sterile needle, but not a new syringe. The syringes were then placed in a box marked “second doses.” As a result, the clinic said some of the half-used vaccines were used on children who returned for their second influenza shot. 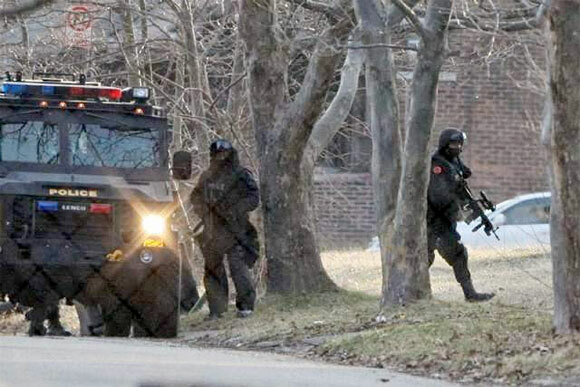 ‘Detroit mother Maryanne Godboldo faces multiple felony charges and is being held on $500,000 bond after a 10-hour standoff with a heavily armed police SWAT team. Godboldo was protecting her 13-year-old daughter from unnecessary medication ordered by the state. Godboldo’s daughter was born with a defective foot that required amputation of her leg below the knee, which led to Maryanne becoming a stay-at-home mother after her birth, according to Health Impact News Daily. Despite her handicap, the child swam, sang, danced and played the piano. However, as the home schooled girl approached middle school age, she apparently wanted to start attending public school, and therefore had to “catch up” on immunizations the state insists are required under color of law. According to her aunt, Penny Godboldo, the girl suffered an adverse reaction to the immunizations. “She began acting out of character, being irritated, having facial grimaces that have been associated with immunizations,” Penny told the Detroit News. Indian officials are firmly denying any causal link between the sudden death of an infant mere hours after receiving a 5th round dose of Polio Inoculation, part of an additional 2 round dosage of oral drops (Birth, 6 wks, 10 wks, 14 wks, 9-12 months, 18 moths, 2 yrs), despite conclusive evidence of viral shedding & paralytic poliomyelitis associated with the live virus Polio vaccine. Version 1: mOPV Type 1 (Substrate – Monkey Kidney Cells) The live monovalent Oral Polio Type 1 Vaccine (mOPV Type 1) contains suspension of live attenuated poliomyelitis type 1 virus (Sabin strain) prepared in Monkey Kidney cells. Each dose contains not less than 106.0CCID50 virus concentration of type 1. MgCI21M is used as a stabilizer and phenol red as an indicator. During formulation of mOPV Type 1 trace amounts of antibiotics: Kanamycin & Neomycin Sulphate are added. Version 2: mOPV Type 1 (Substrate – Vero Cells) The live monovalent Oral Polio Type 1 Vaccine (mOPV Type 1) contains suspension of live attenuated poliomyelitis type 1 virus (Sabin strain) prepared in Vero cells. Each dose contains not less than 106.0CCID50 virus concentration of type 1. MgCI21M is used as a stabilizer and phenol red as an indicator. During formulation of mOPV Type 1 trace amounts of antibiotics: Kanamycin & Neomycin Sulphate are added. 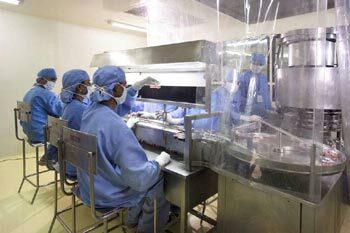 “Continuous maintenance of desired cold temperature during all the post manufacturing stages is known as cold chain. Oral polio vaccine (OPV) must be packed with dry ice (solid carbondioxide) during transportation and must be delivered at the point of use within three days. Even under freezing temperature conditions, the oral polio vaccine remains fluid as long as the temperature is above -140 C, due to the presence of sorbitol in the vaccine. The life period of OPV is one year after manufacture. While executing a pulse polio programme on a mass scale, some of the above mentioned vital cold chain precautions may not be strictly practiced. The reasons may be several such as ignorance, negligence, irresponsible or careless attitude, overload of work, tired and exhausted staff, routinisation of the process of programme implementation and lack of adequate supervisory control. If the sense of responsibility and accountability has not be inculcated, the desired goal of effective immunisation of every child will remain only a dream. Most of the lay people and dignitaries associated with the inauguration of the pulse polio programmes with fanfare in front of TV cameras are completely unaware of the technicalities involved in protecting the vaccine for guaranteed effectiveness. Even the two drops which are administered may not fall correctly in the mouth for proper swallowing by the child. Therefore, one major threat lurking constantly is the possible outbreak of polio infection, should the cold chain fail to work. It must be mentioned that some researchers have expressed doubts about the safety of oral polio vaccine. European countries such as Netherlands, Finland and Denmark so also USA have been advocating the use of intramuscular injectable polio vaccine, which contains killed virus. As long as the immunisation with live oral polio vaccine continues in our country, the risk of associated paralytic poliomyelitis will continue to threaten.” Dr WV Lawate, India. “There must be some thing wrong with the polio drops if even after so many doses my child has contracted polio. The government should test medicines before they are used. Pata nahin bachchoo ko kya pila rahin hain!” (Don’t know what they are making my child drink), she adds. Polio eradication programme was launched in India in 1995, and polio eradication was expected to occur by 2000. Remarkable decline in polio incidence occurred, but, polio was not eradicated. Majority of polio cases are occurring in two states viz., Uttar Pradesh and Bihar. It is also being observed that majority of polio cases had received many doses of polio vaccine. In 2005 monovalent OPV1 (mOPV1) and monovalent OPV3 (mOPV3) were also introduced in Uttar Pradesh and Bihar, but, number of polio cases increased 10-fold in 2006. In 2007 number of vaccination rounds were increased to one round every month, but in 2007 number of polio cases increased further. In 2005 there were 66 polio cases whereas in 2006 and 2007 number of polio cases increased to 676 and 863, respectively. Some genetic factors in children from Uttar Pradesh and Bihar appear to be responsible for poor antibody generation by OPV. Some mutations in polio viruses may be responsible for development of resistance to antibodies generated by OPV and a reason for the recent steep rise in polio incidence since 2006. Because of these two factors, OPV cannot eradicate polio from India. A vaccine-derived poliovirus is a strain of poliovirus, initially contained in the live oral polio vaccine, that has changed over time; it behaves more like a wild or naturally occurring virus. This means that it can be more easily spread to others who are unvaccinated against polio and who come in contact with the stool or oral secretions, such as saliva, of an infected person. These viruses may cause illness, including paralytic poliomyelitis. The last imported case caused by wild poliovirus into the United States was reported in 1993. The remaining 154 cases were vaccine-associated paralytic polio (VAPP) caused by live oral poliovirus vaccine (OPV).